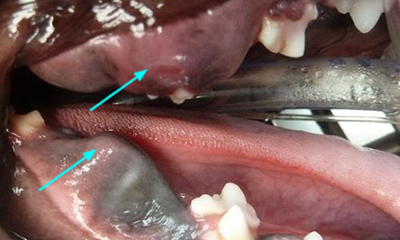 Permanent teeth in your dog should be visible by 7 months of age. If that’s not the case, the teeth may have been entrapped by bone or gum tissue. This condition is known as a delayed eruption. Deciduous teeth will appear between 4-12 weeks of age, while adult teeth erupt between 4-7 months of age. Early diagnosis and treatment of delayed eruption are important. Common in Tibetan Terrier, Wheaton Terrier, Maltese, and Havanese. Delayed eruption of upper premolar and lower molar. 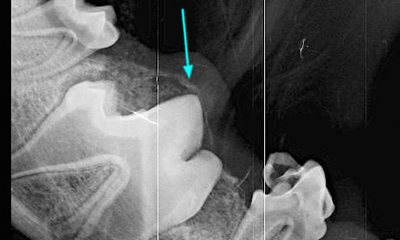 Dental X-ray to evaluate the impacted tooth location and orientation under the gum. Along with dental x-rays to evaluate the tooth/teeth location and orientation, the age of your pet will help determine the appropriate treatment. For pet under 9 months of age, the overlying gum tissue and/or bone can be removed to clear the eruption path for the impacted teeth. If pet is over 9-10 months of age, the impacted teeth may not grow beyond the gum and extraction will be needed to prevent cyst formation. Operculectomy, a procedure where overlying gum is removed to allow unrestricted eruption. Schedule an appointment today to have your pet evaluated for any delayed eruption of teeth. Delayed tooth eruption is more common in permanent teeth (> 7 months of age) than deciduous teeth (12 weeks of age). For unknown reasons teeth may become entrapped by bone or gum tissue. This condition appears more commonly in Tibetan terrier, Wheaton terrier, Maltese, and Havanese. Early diagnosis and treatment are important for successful tooth eruption. These patients need dental X-rays to evaluate the tooth/teeth location and orientation. 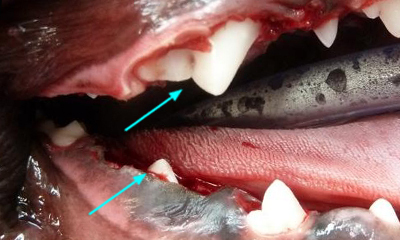 If the pet is under 9 months of age a procedure termed operculectomy can be performed to remove the overlying gum tissue and/or bone, clearing the eruption path for the impacted teeth. 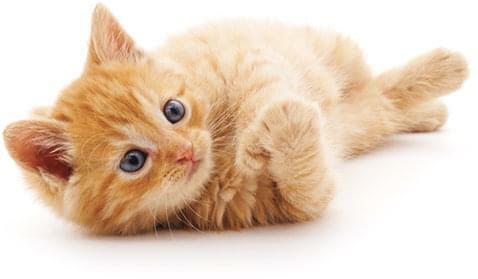 If the pet is over 9-10 months of age eruptive forces may have ceased and extraction therapy is indicated, to prevent dentigerous cyst formation.